When a diseased hopeless tooth or teeth are extracted, an artificial root is placed in the jaw bone and a crown is cemented on it which serves and looks like a natural tooth. 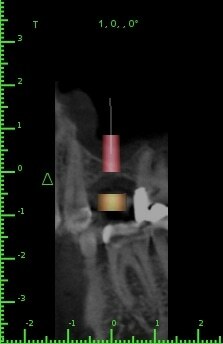 Placing implants in the bone is not a blind procedure. The patient gets a CT scan done and using highly sophisticated software the nerves and other structures inside the bone are carefully marked. 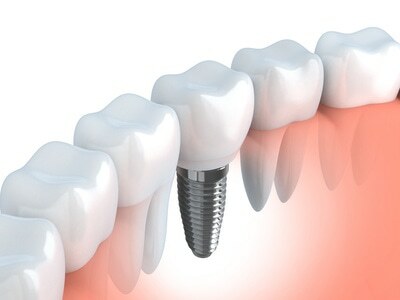 A precise size of implant is then chosen to suit the missing tooth location. 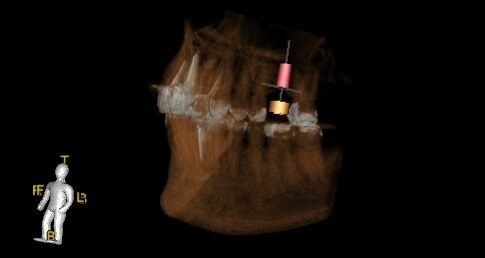 The angulation and depth of placement are all guided by the CT scan and the software. The procedure is painless and most patients feel that it is much easier to get an implant than getting a tooth removed because it is so well planned. The alloy used for implants is well accepted by the human body.